The first ingredient in the flawless face recipe is clean skin. When your skin is dirty, your pores may become clogged causing them to appear larger. Clogged pores or dirty skin can also prevent your products from fully penetrating not allowing them to do their job. Thus, making your cleanser the key ingredient. Erno Laszlo was introduced to me at the early age of 13. While I have gone on and off many of their products throughout the years, one that I could never replace is their cleanser. It is a two-step cleansing ritual that works at the cellular level to rid your skin of impurities while repairing and restoring to achieve the ultimate glow. Step one is a cleansing oil that breaks down any impurities on your face, like dirt or make up, without stripping away your natural moisture. Step two is a cleansing bar made of botanicals and antioxidants. When combined on the face, a rich luxurious lather washes away all debris from your pores. While Erno Laszlo makes five different cleansers, each targeting personal concerns, the one I’m most partial to is exfoliate & detox. 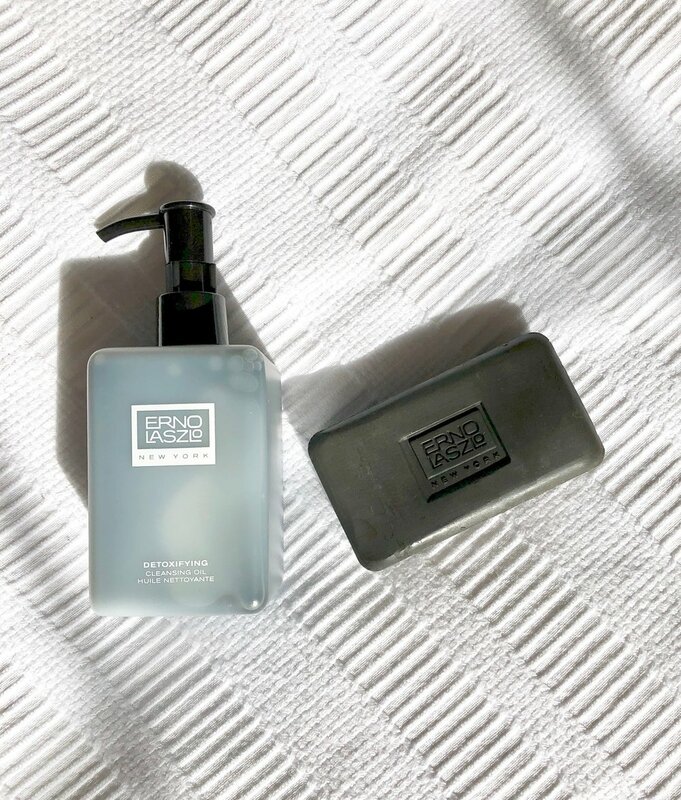 With ingredients like charcoal, Dead Sea mud and grapeseed oil, it truly cleans deep into my skin leaving me with a fresh squeaky clean glow. Trust me when it comes to this soap I’m a pore-fessional!